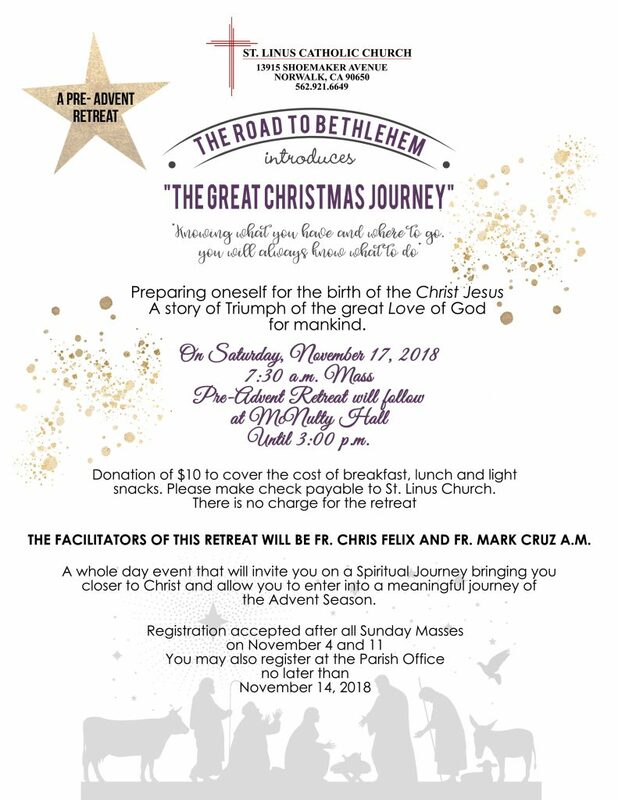 Pre-Advent Retreat will follow at McNulty Hall Until 3:00 p.m.
Donation of $10 to cover the cost of breakfast, lunch and light snacks. Please make check payable to St. Linus Church. 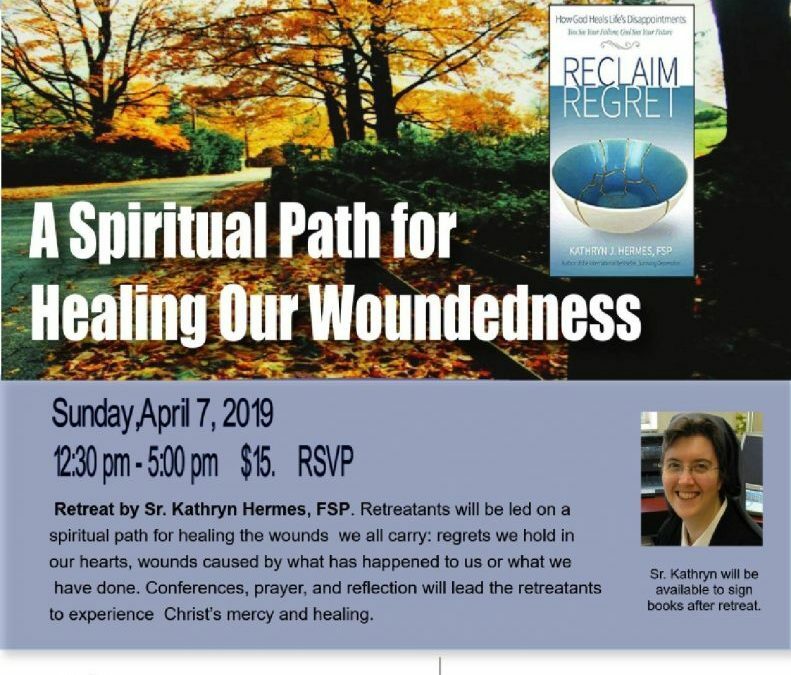 There is no charge for the retreat. 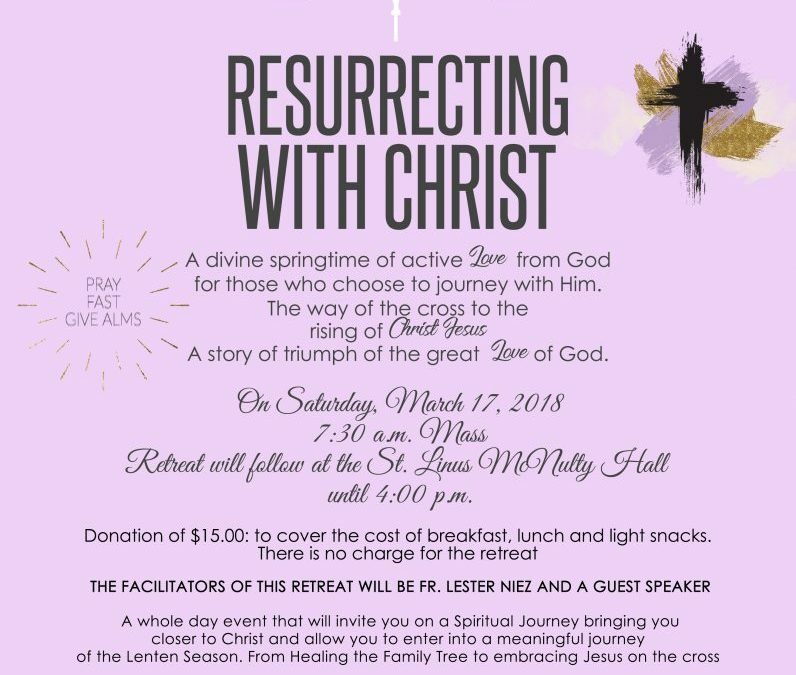 The facilitators of this retreat will be Fr. Chris Felix and Fr. Mark Cruz A.M.
A divine springtime of active Love from God for those who choose to journey with Him. The way of the cross to the rising of Christ Jesus A story of triumph of the great Love of God. 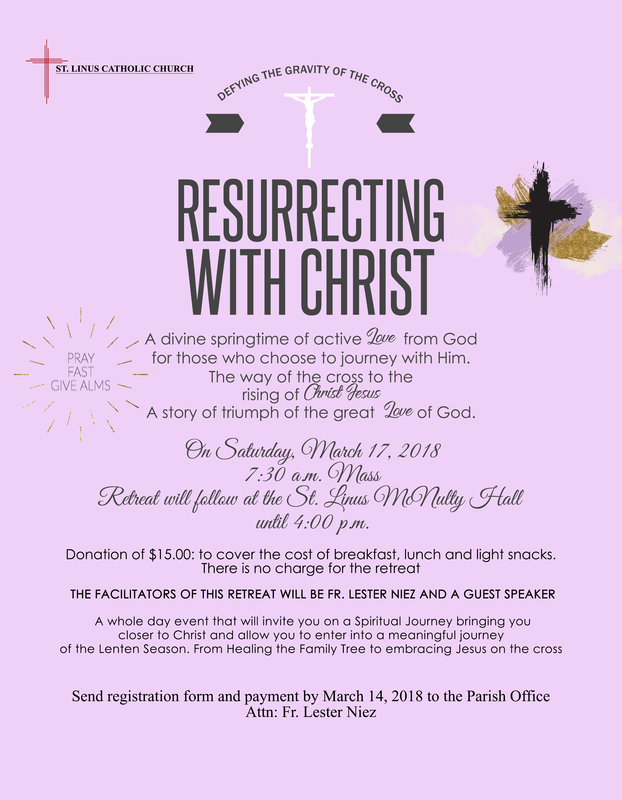 Retreat will follow at the St. Linus McNulty Hall until 4:00 p.m.
Donation of $15.00: to cover the cost of breakfast, lunch and light snacks. 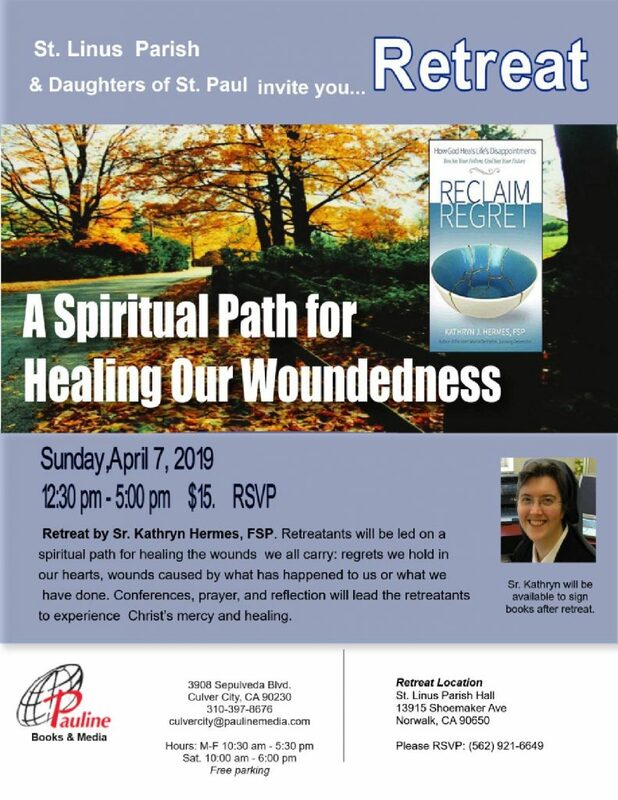 There is no charge for the retreat. 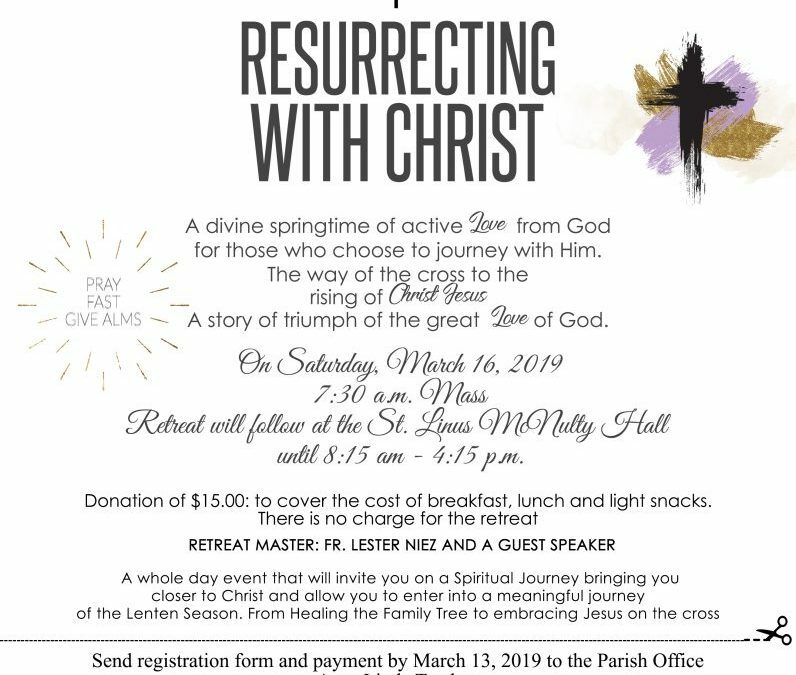 A whole day event that will invite you on a Spiritual Journey bringing you closer to Christ and allow you to enter into a meaningful journey of the Lenten Season. 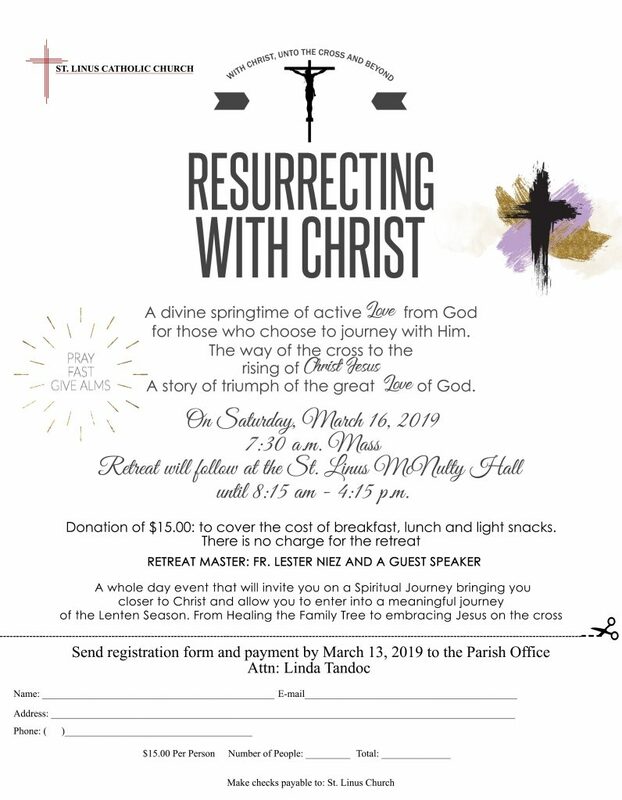 To register, please fill out the Lenten Retreat Form and return it to the Parish office, no later than March 14, 2018.